Building a website can feel overwhelming. That’s why we created this simple but thorough guide for business owners. It’s 2019. A small business without a website is a small business that’s missing out on potential customers. Unfortunately, knowing you need a business site and knowing how to create a business site are two very different things. Fortunately, as we said, it’s 2019. That means you have more options for creating a website than ever before, and the process is easier than it’s ever been. This guide will tell you everything you need to get started on your site-building journey: step-by-step instructions on how to create your website, FAQs you need answers to, and even a glossary of website and SEO terms. You know what they say about putting the cart before the horse. And in this case, your horse is the planning you put in. First, you need to decide what it is you want your website to do. Will you sell digital downloads? Let customers book appointments with you? Direct people to your physical location? Connect to your social media accounts? As with most tasks, the right tools for the job depend on what precisely needs to be done. Sure, you can use a screwdriver to pound in nails—but you’ll get better results with a hammer. And yeah, you can use an e-commerce builder to create your blog, but you’d be better off with a builder that specializes in content. So the answers to these questions should inform everything from the builder you use to the template you select to the content you create. Once you’ve figured out what your small-business website needs to do, we suggest you decide what pages you’ll need. Pretty much all businesses should have, at minimum, an about page and a contact form. After all, if you want visitors to become customers, they need both a reason to trust you and a way to contact you. And many more beyond that. Once you know what pages you want, you can decide what assets you’ll need for each page. Will you need to take original photos or find stock images? What kind of copy (text) will you need on each page? All this planning might sound like overkill, but the more work you do up front, the faster things will go later. Have a rough idea of what each page needs to look like in advance so you can choose the right templates and plugins later. And really, do you want to be writing your copy at the same time you’re figuring out how to use a website builder? We speak from experience when we say that no, no you do not. Don’t put that list of needs away—you’ll be using it to figure out what website builder will work best for you. Because, as it turns out, different website builders excel at different things. 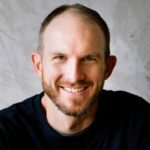 If, for example, you need lots of e-commerce features for your book-selling business, then you know you should focus on the best e-commerce builders. On the other hand, if you need to support your content-heavy fashion blog with ads, then you know you should probably go with WordPress. Be sure to consider how much time you’ve got too. For instance, you might need to get a website up in as little time as possible because you have to get back to decorating cookies at your gourmet bakery. In that case, you probably want the super-fast GoDaddy. Once you’ve found a builder you like, you’ll need to choose a plan. Most builders offer three different plans for business websites. As you’d expect, the more expensive plans tend to give you more features and more storage for your site. While you might be tempted to default to the cheapest plan (or is that just us? ), make sure you choose a plan that offers all the features you need. With WordPress.com, for example, only the highest-tier plan gives you access to plugins. So if you plan to create an online store, you’ll be sorely disappointed when you choose a lower-tier plan and realize you can’t sell anything because you can’t use e-commerce plugins. With loads of apps, tons of themes, great design, and a user-friendly drag-and-drop platform, Wix is a versatile builder that would work well for most businesses. This drag-and-drop builder comes loaded with great e-commerce features that make it a perfect fit for businesses that need a smaller online store. 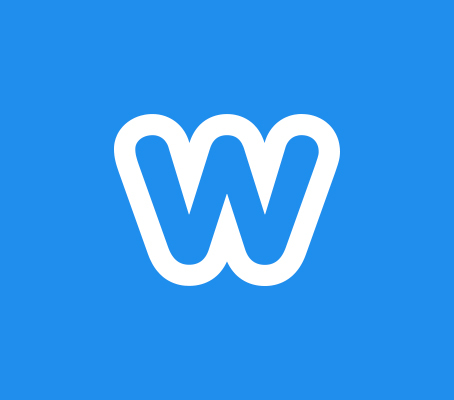 Another drag-and-drop builder, Weebly has beautiful designs perfect for simple websites. It’s easy and affordable, though advanced e-commerce features do cost extra. While GoDaddy won’t win any awards for customization, it builds websites faster than any other builder we tested and feels good doing it. Nothing can compete with WordPress’s customization abilities with its thousands of plugins and themes. It has a steep learning curve, but it’s one worth summiting. 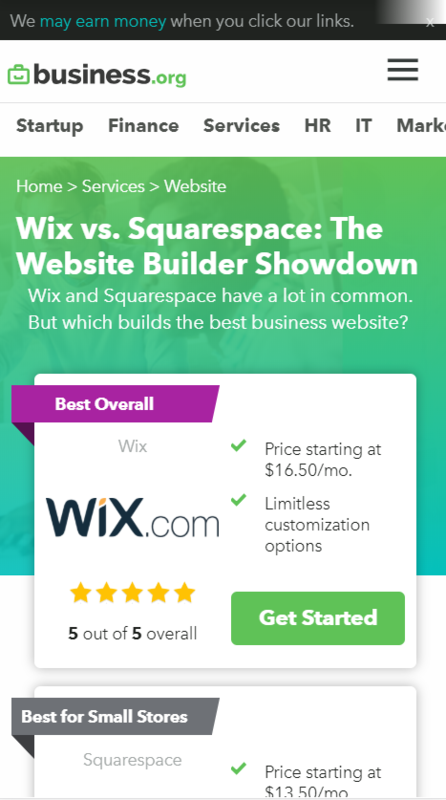 If, after mulling things over, you’re still not sure what builder you should use, we humbly suggest Wix. In our testing, it performed best overall. It has good blogging and e-commerce tools, and you can further increase its functionality with its hundreds of apps. 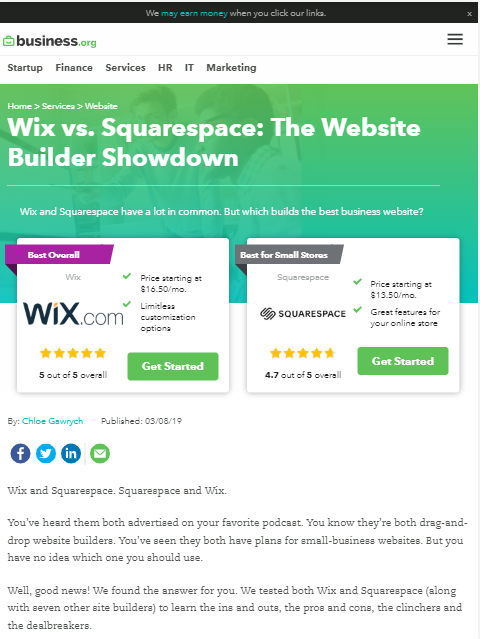 That’s why we recommend Wix as the best builder for most people. No matter what builder you choose, once you’ve selected a plan and signed up, you can move on to step three. It’s time to get a domain name, or the URL people put in their address bars to go to your website. Now, some website builders offer you a free domain name for one year when you sign up for a premium plan. In that case, you can choose your domain as part of the account setup process. Of course, even if you do choose a builder that offers a free domain, you might prefer to get yours elsewhere for a few reasons. Like, if you ever switch builders or hosts, you won’t have to go through the hassle of transferring your domain. And while some people prefer to have just one account for all their website services, other people subscribe pretty strongly to the “don’t put all your eggs in one basket” theory of online security. Besides, not all website builders offer a domain name, so you very well may need to buy your own anyway. In either case, choose a domain that makes sense with your business. If possible, we highly suggest your domain name be [your business name].com. But given that we live in 2019 and the world wide web has been around for 30 years, there’s a good chance that someone has already snagged the URL for your business name. If that’s the case, you might want to try a less common domain suffix; you don’t have to limit yourself to .com or .org. Just make sure your suffix of choice fits with your business. No one would blink at dominos.pizza, for example, but we’d look pretty weird if we changed our URL to business.pizza. Suffixes like .com or .org are called TLDs, or top-level domains. But so many TLD URLs have been taken that ICANN (the nonprofit in charge of keeping the internet organized) began releasing new generic TLDs, or gTLDs, back in 2014. So now we have suffixes like .pizza, .bingo, and .rocks. Or you can always add something to your business name, like the city you’re in or your type of business structure, to get something like [your business name]saltlake.com or [your business name]llc.com. Regardless, once you’ve registered a domain, you’re ready to find hosting—if that’s something you need. This step really only applies to people who choose WordPress.org as their website builder of choice; most other website builders include hosting as part of their product (hence your monthly fee). In fact, most builders won’t let you host your website elsewhere if you wanted. So if you’re not using WordPress.org, go ahead and skip to step five. Still here? Well, hello, WordPress.org user. You’ll need to get a hosting provider for your website. Because while WordPress’s software lets you build a website, it doesn’t give you anywhere to put it—which is where web hosting comes in. Hosts give you a place to put your website and storage for all your files. All the best WordPress hosting providers integrate the WordPress software into their hosting. That means you can access your WordPress dashboard and build things through your hosting account, so you don’t have to download WordPress, build pages offline, and then upload them (which is how you had to do it back in the old days when we also walked to school uphill in the snow both ways). Based on our research, we recommend Bluehost for web hosting—it offers everything you need and more. If you want more options, our list of the best web hosting providers offers plenty of alternatives. Oh, and keep in mind that you’ll need to point your DNS servers to your host. We know that sounds complicated, but it just means you need to make sure your domain name is linked to your web hosting. The process is little more than some simple copying and pasting, but your web host of choice should have instructions for you as part of your setup process. By this point, you should have chosen a builder and a domain (and hosting, if you need that), so you know what that means: time to start building. And for pretty much all builders, the first thing you’ll need to do is choose a theme or template for your site. Take another look back at your needs from step one. What are you trying to do with your business site? What are you trying to emphasize about your business? Then choose a theme that works with your business needs. As an obvious example, if you plan to sell lots of alpaca yarn gloves on your site, you might want to choose a theme that’s built toward e-commerce and even features new products on your home page. But if you’re building a home page for your spa and its isolation tank, you should probably look for a theme that features calming colors and has room for large images so you can show off your spa’s decor. Many builders let you make lots of changes to your templates, from color to layout to typeface. But the less you have to change, the faster things will go (and the less likely you are to mess up your design). If possible, choose a theme that’s close to what you want. No matter what kind of business site you’re creating, look for a theme that’s clean, modern, readable, and attractive. Remember, visitors to your website will rely on cues like your web design to decide whether or not to trust you and your product. So if you choose a cluttered or unreadable theme that looks like something from 1999, your visitors will bounce before ever looking at your actual content. For some website builders, this will require you to buy a premium theme. BigCommerce, for example, only offers two free templates (and they’re kind of mediocre), so you’ll likely want to buy one. 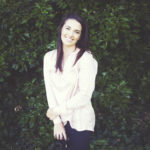 Likewise, paid themes let you get the most out of WordPress.org. Now, we know that no one likes an extra cost, but think about the ROI: a more attractive website will help you convert more visitors than a hideous site ever could. Which isn’t to say you need to buy the most expensive theme out there—just one that looks good and functions well. Once you have your theme, you can start fleshing out your site’s content. If you recall, we suggested back in step one that you go ahead and write your copy and collect your images. If you didn’t do that, now’s your big chance. Either way, as you add text and images to your site, try to keep your visitors in mind. For example, make sure you have enough contrast between your background color and text color so that your text is easily readable. Split long paragraphs of text into multiple paragraphs so your visitors can easily read your content (especially on mobile screens). And of course, make sure that your site content works toward the goals you listed for your business site. So if you want people to come eat at your food truck, prominently list where you’ll be each day. If you want customers to call your contracting company, make your phone number large and obvious. If you want visitors to check out your illustration portfolio, you’ll probably want large images throughout your site. Before long, your website will start to take shape. At this point, you can publish it to the web and point people toward it. But you’re not done yet—you’ll want to take some time to make sure your website shows up on search engines. Most of our site builder reviews include a video of that website builder in action. If you’re not sure how to get started with your builder of choice, those videos are a good place to start. Your great website won’t do your business much good if your audience can’t find it. Search engine optimization, or SEO, helps your site show up on relevant Google and Bing searches. In other words, SEO makes sure that when a customer searches “dollhouses missoula,” your dollhouse store in Missoula shows up. We won’t lie to you, though: search engine optimization is a complicated beast with oft-changing rules. You can easily dedicate hours each day to improving your search engine rankings (though that’s probably not the best use of your time). Still, there’s one thing absolutely every business owner should do, no matter what builder they’re using. Make sure you’re using appropriate keywords on your website. So for your dollhouse business, double-check that your text includes the word “dollhouse” at least a couple times. Likewise, an attorney would likely want to include words like “lawyer,” “attorney,” “law firm,” “legal,” etc. Basically whatever term you think your customers are looking for. Different site builders will have different SEO capabilities. So depending on your builder, you might also want to write good meta descriptions, create an XML sitemap, or add schema to your pages (see our glossary below for explanations of these terms). And if your business relies on customers finding you through search engines (an ad-supported food blog where you post recipes, for example), then you might want to think about hiring an SEO pro or agency to do some optimization for you. Which brings us to step eight. Let’s face it: for most of us, building a website is outside our wheelhouse. Sometimes, you just can’t figure out how to do something—or at least, you can’t sacrifice enough time to figure out how to do something well. If you get stuck while building, don’t feel bad; after all, most people couldn’t just start doing your job without any prior experience either. Fortunately, you have plenty of resources to help you with your site. Like customer support. All of our recommended builders have well-staffed customer support centers ready to answer your questions, often by phone, chat, or email. If you can’t figure out some feature of your builder, they probably have the answer. Then there are community forums. WordPress is the classic example of this, though many other builders have their own forums where users can ask questions and have conversations about the builder. These forums tend to have active communities, full of people who are both ready and willing to help you with your website. So don’t be shy about asking for a little guidance. And if all else fails, you can always hire someone to build your website. Sure, it will cost you more. But if you’re really stuck, the extra money might be worth it to save you time and frustration. Whatever it takes to finish your website, right? Congratulations! Your website is complete. Now you can use it to attract new customers and get existing customers to come back over and over again. Just remember to keep your website updated, especially if important details ever change, like your business’s address, hours, or phone number. After all, the last thing you want to do is have your easily Googled restaurant website pointing visitors to your old location that’s now home to a competitor cafe. But aside from those updates, you can sit back and let your website bring your customers to you. We’ve covered a lot, so we’re sure you have questions, like these. Tough question. The answer depends on a number of factors, like what website builder you choose. WordPress.com has plans for as little as $5 per month, while BigCommerce has plans as expensive as $249.95 per month. Most website builders fall somewhere in between—usually around $20 to $40 a month. Then you have the cost of a domain name. While some builders give you a free domain for one year, realistically you’ll have to pay for your domain at some point. And with WordPress.org, you’ll have to pay for a hosting plan. Plus, for some builders, you’ll need to factor in the cost of paid themes. BigCommerce themes, for example, easily cost over $200. Then there’s plugins or apps, which can range from 100% free to thousands of dollars. And you may want to consider the cost of extras—like an email account, advanced site security, and VIP customer support—or the cost of a web developer. So if you’re using one of BigCommerce’s most expensive plans with a paid theme and some paid apps, you could easily spend thousands on your website every year. A simple business home page on WordPress.com, on the other hand, could cost you as little as $60 a year. In other words, only you can say exactly how much it will cost to build your website. That’s why we try to give you a heads-up on all the costs of particular builders in our website builder reviews. If you’re anything like us, you’ll want to do some math before committing to anything. How long does it take to create a business website? In this case, your build time specifically depends on your level of expertise, the complexity of the site you’re building, and the builder you’re using. Take our testing experiences. When we tested various website builders, we built complete sites that had a home page, an about page, a contact page, a blog with three blog posts, and an online store with five products. GoDaddy did it the fastest, in just 38 minutes. But with some builders, it took us several hours to build the same thing. Keep in mind that those numbers only include the actual act of building; we’d already gathered our photos, copy, color scheme, and organization before getting started. We recommend you do the same—and keep in mind, that part could easily take longer than actually building the website. Ultimately, if you need to get a website up in a jiffy, you can absolutely do so with a builder like GoDaddy or Wix. But for more complex sites, especially ones built with WordPress or a dedicated e-commerce builder, plan on spending a good chunk of time. 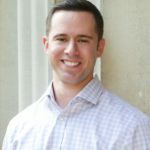 Should I hire someone to build my business website? So don’t get mad, but you know what’s coming . . . it depends. Hiring someone to build your website for you will save you time so you can get back to the fun parts of running your business. It also lets you take advantage of the additional expertise you’d get from a pro, which means you’ll likely end up with a more polished, more attractive website. On the other hand, hiring a web designer or developer will cost you more, and it does slightly raise your security risk since someone else will have access to your site (at least until you change the passwords). Conversely, going the DIY route will save you money, give you more control over your website and who has access to it, and allow you to make updates without waiting on someone else’s schedule. Plus you’ll get bragging rights. But building your website yourself will take more time, and it might leave you feeling frustrated. To be clear, we believe that building your own website is totally doable and a great way to save money. You mostly need to determine whether or not it’s the best use of your time as a business owner. Do you think Apple CEO Tim Cook sits there tinkering away on Apple’s website? Sure, he’s probably totally capable of building it, but the guy who runs Apple can probably find better ways to spend his time that have a higher ROI. And while you’re not Tim Cook (unless you are—Hi, Tim! ), the answer to the DIY vs. pro dilemma still really boils down to what gives you a better return on your investment of time and money. And that’s a call only you can make. Which website builder is easiest? Wix tops our list of easy website builders, which we compiled after thoroughly testing nine different builders. Wix feels intuitive and fast, plus it has beautiful design and loads of customization options. If you’d prefer a budget option, GoDaddy proved itself to be very user friendly too—it might even be easier than Wix. But its limited design and customization tools make Wix the better builder overall. Ultimately though, we think that just about anyone can learn to use any of our recommended website builders. They were created to simplify website building, after all. So if you really need BigCommerce for your inspirational vinyl decal business, don’t avoid it just because it’s not as easy and will take a little longer to learn. 301 redirects: If the URL of one of your pages changes (you get a new domain, for example), a 301 permanently redirects search engine results to the new page with minimal effect on your search engine rankings. You will have to access the server to set up a 301 redirect, so this might be an instance in which you’d rather hire someone to do it for you. Breadcrumbs: Breadcrumbs create a visible text path that helps your users understand your website’s structure. You can see them in action at the top of this article (Home > Services > Website). They also make it easier for search engines to crawl your website correctly. Plus, breadcrumbs often show up on SERPs (defined below), which can get you more clicks. Canonical tags: Used primarily for SEO reasons, a canonical tag is a snippet of code that tells a search engine which version of a URL is the “right” one. For example, you can access our website by going to “business.org,” “https://business.org,” or “https://www.business.org.” They all take you to the same place, but without canonical tags, Google would view them as different pages. With canonical tags, it knows they’re the same, which can help your search engine ranking. CMS: CMS stands for content management system. As the name suggests, it provides a way for you to easily add and update website content with several collaborators. WordPress is probably the best-known CMS, though you might also have heard of Drupal and Joomla. Domain name: A domain name is what people can type into the address bar of their browser to access your website. Ours, for example, is business.org. Domain names can have a variety of different suffixes, from the familiar (.com, .net, .org) to the less common (.store, .boutique, .online) to the niche (.hockey, .diamonds, .pizza). Drag and drop: A builder that lets you point your mouse at an object, select it, and drag it to reposition it is a drag-and-drop builder. 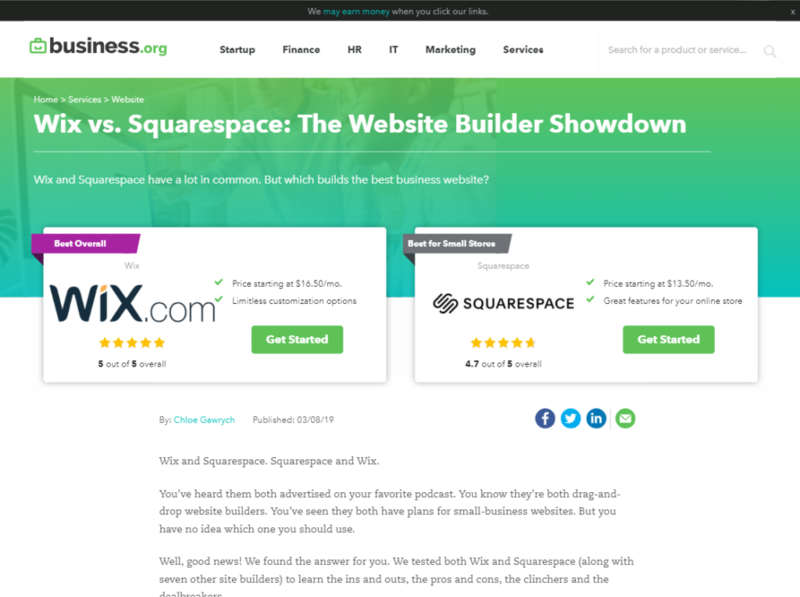 Wix and Squarespace are two of our favorite drag-and-drop builders. Hosting: Hosting is the service that gives your website a home on the internet. Web hosting providers act a little like landlords, leasing internet space to you. You can fill that space with all your stuff (your actual website) and let your users visit. Meta descriptions: This is a brief chunk of text (usually 160 characters or less) that offers a short description of what your page is about. 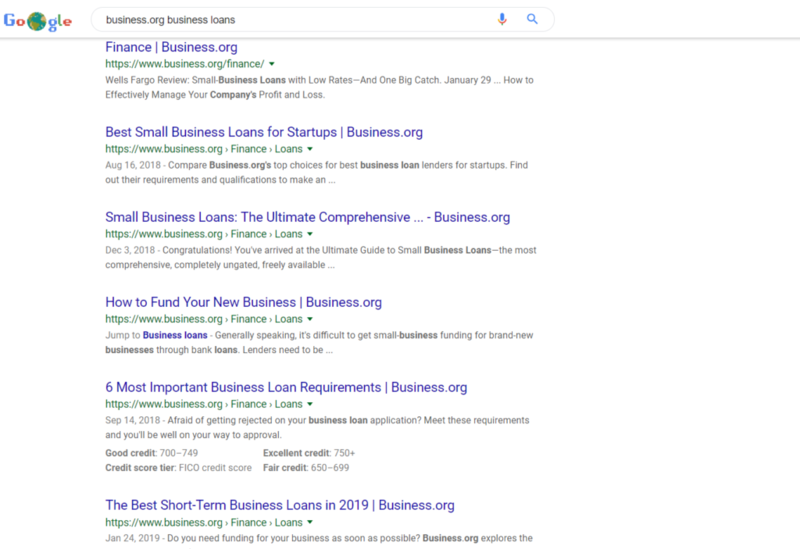 Google and other search engines show meta descriptions on SERPs. Mobile responsive: This just means that your website looks good on all screens, whether a customer is on a desktop, tablet, or phone. In most cases, this translates to things like swapping out top navigation links for a hamburger icon or stacking pictures and text instead of displaying them side by side. Plugin: You can add plugins, also called apps, to your website builder to add more functionality. You’ll find plugins that track your inventory, add chat with your users, and much, much more. Not all website builders support plugins. Schema: Another SEO tool, schema is a set of tags you can add to your site’s code that changes the way it appears in search engine results. For example, with schema you can add things like star ratings and publication dates to your page’s search engine results, as seen in the screenshot below. SEO: SEO is short for search engine optimization. It basically means tweaking your website to make search engines like it more. That way, when someone searches for words related to your business, your site will show up higher in the rankings. SERP: This stands for search engine results page. In other words, it’s the list of websites that Google (or Bing) shows you after you search for a keyword. The higher your site appears on a SERP, the better. SSL certificate: SSL is an acronym for secure socket layer. SSL certificates encrypt any information sent between your website and visitors, which keeps that information out of the hands of spying third parties. A lock to the left of your URL indicates you have an active SSL certificate. Up-to-date SSL certificates are not only a security best practice but also a boost to your search engine rankings. WYSIWYG: A WYSIWYG editor is a what you see is what you get editor. Think of it as the opposite of coding a website, in which you type in lines of code that then get translated to a finished product. With a WYSIWYG editor, you don’t need to know code because the platform (whether drag-and-drop or menu-based) lets you see exactly how your finished product will look as you build. XML sitemaps: A file that lists the URLs of all the pages on your website that you want search engines to find and display is an XML sitemap. It can also contain details like when you last updated a page. Sitemaps make it easier for those engines to list your website, in turn helping your SEO. Whew! You got all that? Look, we know that creating a business website can feel like a big challenge. But trust us: many small-business owners have built their own sites, and you can too. By using a good website builder and following the steps we outlined above, you might even be surprised at how easy it is. Whether you’re building a web-based e-commerce store, increasing brand awareness for your service-based company, or creating a simple online presence for your local business, we’re confident that you’ll do just fine. Have you built a website for your business? Tell us about your experience in the comments below! Previous Article Weebly vs. WordPress: Which Is Better?